I always wonder when someone gives this book such a mediocre rating: Is there any sci-fi book written in this millenium that you would rate higher? If you ask me, The Windup Girl is right up there with Brave New World and 1984. These books are also not for everyone, but none would question their literary value. Hi Eddie! 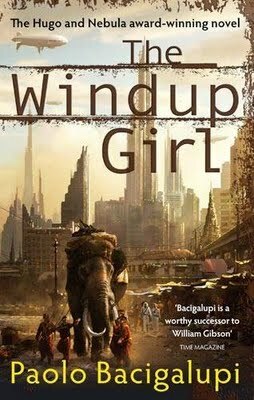 As stated in the review, I don't question The Windup Girl's literary value--not at all.